Add Extra Shine to Your Business! 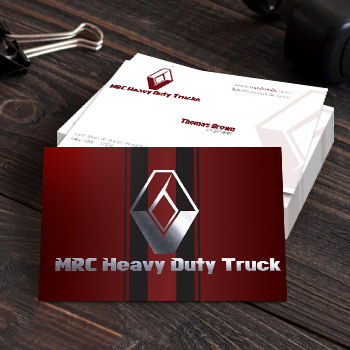 Our most popular 3.5x2" silver foiled business cards for car service gives a creative look to your business. Foil printing adds an attractive dimension to your business cards and literally helps them shine among a bunch of other cards. The printing technology can be used for any component on the card, ranging from text and borders to eye-popping visuals. Foil stamping is a versatile way to give your business cards a high-end and customized look. 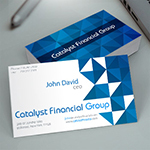 Our frosted business cards printing are very popular amongst our clients. The foil business card can help boost your business. Your foil business card will stand out from the crowd with its distinctive and eye-catching impressiveness, giving you the advantage in the highly competitive marketplace. Research has shown that people perceive your product as having a higher value and quality with the addition of effects like foil to your business card and other printed marketing materials. 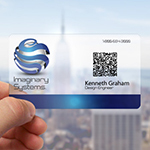 So order our low cost raised business cards printing today and leave a creative impression on your clients. The front is printed in the 4 color process as in 4/4 printing but the back is only printed using 1 spot color. Black is the most typical on a 4/1 print. 16 pt is an ultra heavy card stock that is coated on both sided with a special gloss layer. No coating or UV coating are separate options and are not affected by this. Such coating offers better ink absorption and hence artwork definition. 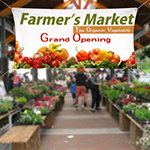 The business cards are intended to inform people about your business and contact information. But adding foil stamp into your cards leaves unforgettable impression to the clients. Your foil business card will stand out from the crowd with its distinctive and eye-catching impressiveness, giving you the advantage in the highly competitive marketplace. Research has shown that people perceive your product as having a higher value and quality with the addition of effects like foil to your business card and other printed marketing materials. Think of your foil business cards as tiny billboards with the potential to attract just the right people at just the right time. We are very happy with the new business cards. They look professional and the use of spot Hot FOIL on the leaf design is really effective. The cards arrived today and they are STUNNING! Thank you so much for your beautiful work.... I shall be promoting your business! Business cards were amazing. Thank you so much. :) Warm Regards! This is the paper stock your project will be printed on. The numerical value refers to how thick the paper is, measure in caliper thicknesses (point values) or weight (pound values); the larger the number, the thicker the stock. Heavyweight papers are called cards stock. Product: Foiled Business card, 3.5" X 2""